What happens after the 'clash of civilizations'? 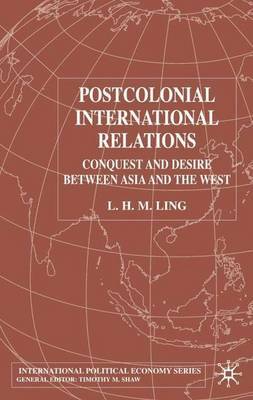 Through the application of a new theory of postcolonial international relations, L.H.M.Ling explores this fundamental question. Cultures clash but they also borrow from, absorb and ultimately transform one another. Such has been the interaction between Asia and the West for the past one hundred and fifty years. Each is now an integral, intimate part of the other despite a history of wars, revolutions, invasions and occupations. Lily Ling's interesting and innovative work shows that this learning from the 'Other' transcends the Self/Other divide that continues to plague contemporary international relations, both in study and practice.